Work for Google Cloud Video Intelligence? Learning about Cloud Video Intelligence? "Great tool for video finds"
I like the ease of being able to create and have assistance when creating videos for different applications. It makes it easy to create and save several projects you are working on at one time and it is easy to switch back and forth between project when creating new videos. I also like that I am able to create these videos in several different formats such as .mov, .MPEG4, .MP4 etc. It makes it more valuable to be able to have more accessibility to other based on their computer applications. The only downfall I have found is after the free trial it can be costly to use the resources that you search out for certain projects. It is billed per resource and I am using this program that is not provided by my company but by my own choice. The business problems that I am solving are the ability to create new video products that allow my users to fully understand what their expectations are or to teach them sometimes specific. I have realized that it is a great learning tool to use for other visual learners and I am able to use this technology to analyze my videos and break it down by frame to make sure it is created to be most useful. "The future is here and machines are becoming smarter "
In general, the whole science behind Google Cloud Video Intelligence is just absolutely crazy. I sort of cannot believe that we are here with our technology and that our technology can analyze in a way of almost thinking. It makes finding videos so much easier and categorizing them as well. I mean the fact that i can go to an exact moment in a video now without having to search for it is amazingly convenient. This will change TV forever. I mean think about all of the videos in storage clouds. This makes finding videos so much easier. This will change montage editing forever. I think becoming acquainted with this will really be helpful for the future. This is the future and I am excited to see what happens moving forward. I have not been using it long enough to be able to solve problems with it as this is extremely new but I will say this could really help me categorize my editing and be able to find the exact videos I want to edit. This could really be a game changes for smaller media publishing companies/media production companies. I am really interested in seeing how this will impact the media industry. "wonderful ocean for sourcing Videos "
There is nothing to dislike. everything is perfect. it's just few times we felt of having or popping out irrelevant videos. our daily digital marketing strategies, sharing important board meetings. bring people all together at one point. live telecast system without any blisters in between. in word hatts off to you guys, you made our life easy and productive. "Comprehensive & Precise Video Analysis "
Thanks to their easy to use REST API, we were able to search for any moment of our choice of every file within our catalog at the office. The tools is quite complicated to use and required trained staffs. Google Cloud Video Intelligence is really a State-Of-The-Art software, fully comprehensive and professional in all aspects. I strongly recommend and without any hesitation. They are really amazing. We manage to annotate various videos destined to our quality assurance and auditing department and benefited greatly in terms of time saving and generating an automated solutions. "Making Video Searchable & Discoverable"
We have a huge video catalog for our marketing efforts at the company and thanks to Google Cloud Video Intelligence, we were able to quickly search and identify moment in the videos, separate signals from noises and retrieve relevant information. The tools require some considerable IT knowledge for proper use. I strongly recommend to businesses with a huge directory of videos. This is a great and intelligent tools. I recommend without hesitation. Google Cloud Video Intelligence helped us browse through thousands of videos, hence saving a huge amount of time. I first used Cloud video intelligence working on film projects around campus through the student activities office. What I liked most about Cloud video mainly over other editing softwares (premiere, avid) is how clean they label each scene in the video, as well as when and where that character/thing appears in the timeline. Another thing I liked most about this product is their library, where you can search a specific type of what you need and search and identify the object. Though I love the library tool, I hope they adopt more convienient ways to move video to your timeline, similar to premiere or avid. When shooting videos on campus, things that you want to include in your video are limited. This is where the library is handy, if I need a scene involving a dog, sport, people, I can search and add. "Clould video intelligence - For A Great One-Click Experience"
I really like it as it helps to better query and analyze uploaded videos and User testimonials, video comments or comments can be transcribed. What I did not like was the image and video processing because they require an efficient and intelligent flow. 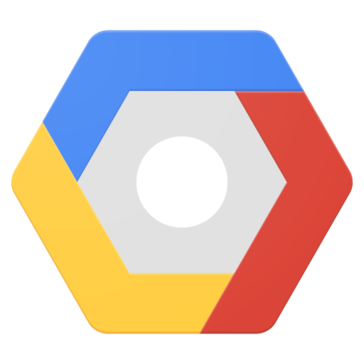 Everyone who has not yet used or implemented Google Cloud Video Intelligence in any area of their business would recommend doing this with the assurance that it will definitely be worth it as it is great. He is fast! Time is money and having a great experience on both sides is important! it helps a lot in recordings and issues. I like the ease of being able to create and have assistance when creating videos for different applications. It makes it easy to create and save several projects you are working on at one time and it is easy to switch back and forth between project when creating new videos. It is billed per resource and I am using this program that is not provided by my company but by my own choice. It is a very useful tool for my work. Google Cloud Video Intelligence is one of the only services that allow you to create videos in various formats. Being very familiar with all Google software the ease of using this system was very beneficial to myself and my team. After the free trial it became very pricey. I create multiple videos in a short amount of time and I just could not apply the service in my quarterly budget. Google Cloud Video has been an amazing asset to help guide the visual learner on how to incorporate my strategies to their business. I would record videos and deliver them to my client with great ease. "Review on Google Cloud Video Intelligence"
It gives great results even if video quality is not that good. Auto tagging of video content. Quick search in my video catalog is one great feature. Video analysis is very efficient. Video intelligence API is bit slow to use. It needs considerable IT knowledge for proper use. The job processing is slower. All my video tagging related issues solved by this tool. I love how I can search quickly thru the videos, it pulls meta data based on nouns it hears and is super easy to use. As a content creator I love how I can use the rest api to make videos more discoverable with little work on my end. "Good solution for auto tagging"
It gives you reqasonable results even if the video quality is not good. The Google Cloud API for PHP is not perfect and you need Composer to install it. I prefer installing a package on my and it would be great to have an alternative to Composer. The start and end time of the frames where the desribed object can be seen is not accurate. I feel like it was a reliable device for the time being. There are a lot of bugs and the customer service isn’t that great. "Great tool to optimize video content"
Among all the cloud service providers, goolge has been at the top when it comes to cloud services for ML and AI, processing video content is easy with pre-trained models, add ons like Data Studio gives idea of type of content being uploaded. There are not many things to dislike about it. Even though the pricing and documentation would have been better. This API does a brilliant job in capturing the different objects and label I needed to identify for my project. "Google cloud video intelligence enhances user interface capabilities!" Google video intelligence cloud makes all of my recordings easily accessible. There is really no con to this software. Businessproblems that have been solved include being able to access videos taken via the cloud versus using multiple applications. It makes searching through videos for specific things easier. Learning about Google Cloud Video Intelligence? * We monitor all Google Cloud Video Intelligence reviews to prevent fraudulent reviews and keep review quality high. We do not post reviews by company employees or direct competitors. Validated reviews require the user to submit a screenshot of the product containing their user ID, in order to verify a user is an actual user of the product. Hi there! Are you looking to implement a solution like Cloud Video Intelligence?